Splash ! 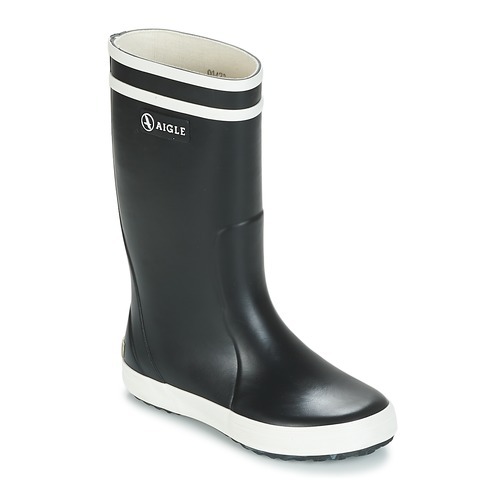 Very comfortable thanks to their brushed cotton interior, these waterproof boots are brought to us by Aigle. The rubber will keep kids feet dry even in the puddles ! 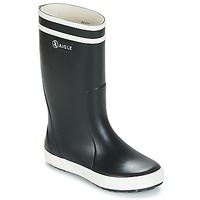 This is a classic style rubber boot, with high quality rubber and a textile lining, made in France. (Even if they are cheaper, I screened out any boots made out of chemically-based plastics and foams, and I don't regret it). Some things to consider however: - This is a high rubber boot so it's warm, and warmer than a half boot - Without being tight, the entrance may be narrower than other boots so your child will either have to wear some kind of fitted pants or put the pants around the boots. These boots won't fall easily at least. - I purchased two sizes up so that it can last a bit. It was a bit too big at first, but after a couple of weeks it seems to be OK. I would definitely recommend purchasing at least one size up.